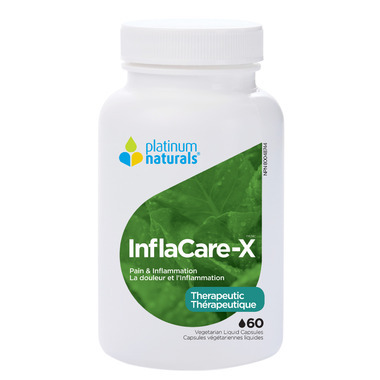 InflaCare-X is an innovative supplement designed to reduce chronic and systemic inflammation. 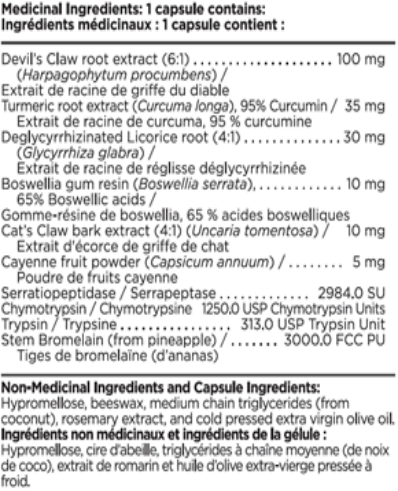 It pairs anti-inflammatory herbs with proteolytic enzymes for deep-acting relief. Made with Omega Suspension Technology, better absorption and results you can feel. Dosage: Take two (2) capsules daily on an empty stomach. For a sensitive stomach, take 30 minutes after a meal. Health care practitioner may suggest alternative dosage such as increasing to 2 capsules twice a day if needed. Do not use if you are pregnant or breastfeeding. Consult a health care practitioner prior to use if you are taking medication for diabetes, high blood pressure, seizures, or are taking digitalis/digoxin or if symptoms persist or worsen. A great product. Works as advertised. I actually have my life back just from taking this. It's for my mom. She really likes the results from using this product. She recommends it.